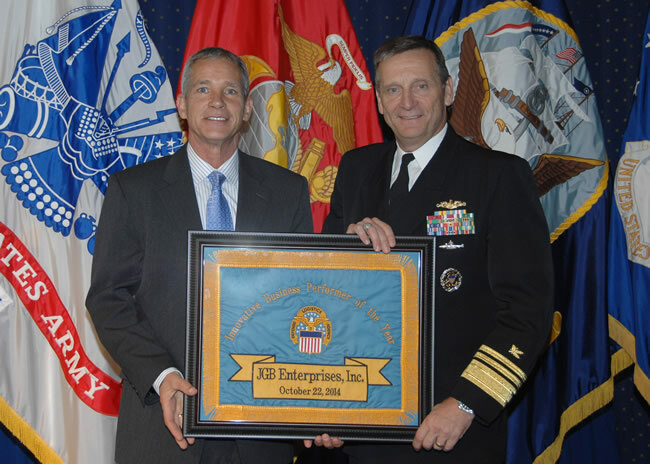 JGB Enterprises, Inc. makers of The Perfect Garden Hose, attended the Defense Logistics Agency (DLA) Business Alliance Awards Ceremony held in Fort Belvoir, Virginia on October 22, 2014. JGB was awarded the DLA Innovative Business Performer of the Year – Award for Small Business. Thanks to all for their continued contributions to JGB's success!! This entry was posted in In the News and tagged Africa, Air Force Materiel Command, American Legion, Arlington County, Association football, Bridge, Community centre, Defense Logistics Agency, Fort Belvoir, the perfect garden hose, United States Department of Defense, Virginia. Bookmark the permalink.